Home / Blog / Articles / Proud women in IT! 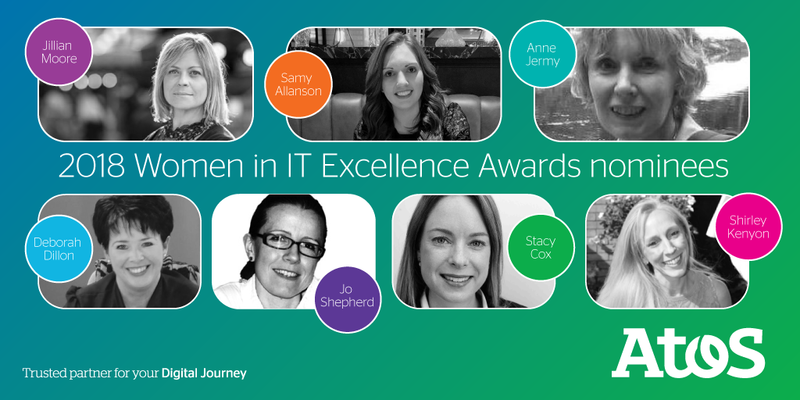 The Women in IT Excellence Awards aims to shine a spotlight where it's most needed in tech: on the mold-breaking, ceiling-smashing, female talent rising the ranks and shaking up the industry. At Atos, our Women Who Succeed program was developed to do exactly this, and more. The cornerstone of this program was to identify women as successors for every key role within the company, and out of that effort, several development programs were born like “I am a Woman Who Succeeds”, “I Support Atos Women Who Succeed” and “I Intend To Become A Woman Who Succeeds”. Our award nominees are already Women Who Succeed; they’ve stepped out in front of their peers to lead efforts to showcase their talent, and shine the spotlight on women in tech. We are proud of all 6 of them, and I hope that we will see them crowned as winners! Learn more about the nominees. Being nominated for this award has led me to sign up to become a Science Technology Engineering & Mathematics ambassador to encourage young females towards technology. I presented my first “Introduction to Atos” talk at a London school yesterday and have my second talk already lined up with an all-girls secondary school. Now, I have expanded this idea wider and am looking to make the STEM ambassador programme an initiative across the account I work in to encourage other women in tech to step forward. I am interested in the law that surrounds the use of technology and how we can use technology to our advantage whilst protecting the rights of individuals. This career allows me to constantly learn about new topic areas and apply privacy principles to them - so use technology in the right way in order to advance an organization’s digital journey. We are at the beginning of the fourth industrial revolution – digital, and I am proud and privileged to be in the right place at the right time to be a part of this. I’ve had many role models over the years, from people I’ve worked with, to people in the industry and even a few fictional ones. A line manager of mine, Terry Gould, taught me that people come first, and in the best organizations everyone is so empowered that when someone leaves everyone else can just move up to fill the gap. I’ve always admired people like Karren Brady, the sporting executive and politician, who succeed in powerful roles in male dominated worlds and are still true to themselves and their personality. And fictionally, I always wanted to be the Keeley Hawes character in a TV show called “Ashes to Ashes” – she was the most fashionable, “didn’t give a damn” type of person whilst still commanding the respect of all around her, and getting things done! My advice for young women looking for a career in technology would be to follow your passion if you know what that is. However, if you do not, that is fine, take and create opportunities doing the things that you enjoy whilst challenging yourself. There is no such thing as a negative experience, everything that we experience is character building and will go a long way to helping your growth and success. Denise Reed Lamoreaux is the Global Chief Diversity Officer at Atos, and brings 30+ years of Leadership, Marketing and Communication, and Learning and Development experience to her role. Denise has aligned with Recruiting, Corporate Social Responsibility, the Compliance Network and Learning and Development to ensure that the Diversity Dimensions (Gender, Generations, Culture, LGBT+, and Accessibility) are interwoven into business processes, and that learning opportunities focus on D&I topics. Denise brings her passion for Diversity and Inclusion to the programs she develops and delivers, and to the We Are Atos Employee Experience Program. Two recent achievements are the launch of Skillsoft’s Women In Action program, and the implementation of Textio, which will aid us in creating unbiased job descriptions. 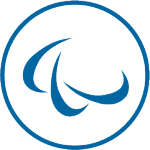 During her tenure, Atos has been recognized externally in several categories, joined organizations such as the ILO, and signed the UN Standards of Conduct for Business, parity.org’s Parity Pledge, and L’ Autre Cercle’s charter.